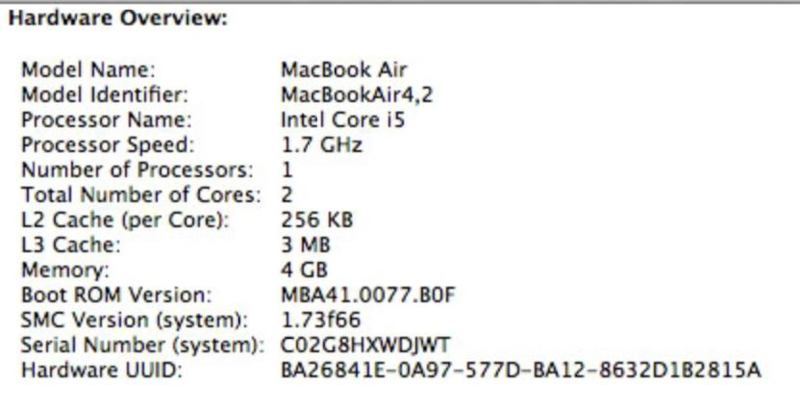 I have a mid-2011 MacBook Air that I want to update to the latest OS that will run on it. I asked for help on Facebook, but none of the suggestions work. So let's start over. I understand it can run 10.13. But I have yet to find a download that will install 10.13. And there was a change in the dmg format somewhere along the line, so that might also be an issue. @rosskarchner -- we definitely tried the Mac App Store, but your link works, but didn't yield a download. Here's the error message. I believe Mojave will not run on it, but more importantly, Software Update/App Store should include the latest applicable OS version (and maybe the inapplicable ones as well). High Sierra should be available. Doesn't it? Then the issue is probably that you're still running Lion (10.7) and the installers are requiring Mountain Lion at least. Can you find Mountain Lion in the App Store and update to that first? We're now repeating what we did in the Facebook thread. Searching for the OS versions by name in the Mac App Store does not get you the OS, it gets you things that mention it in their description or title. But I also see elsewhere that Mountain Lion isn't on the mac app store anymore, so I'm not 100% sure it'll work. But then, you'll at least have a customer service issue with Apple? Yay? If you already have a different Mac running at least 10.8, then you might be able to use the High Sierra direct app store link to download the full installer. Then you can create USB installation media. I think the current USB media size needed is 12 GB. Any Mac running an OS before 10.8 can't upgrade, because of the app store problems that you encountered. Instead you need to have a full installer on external media. Unfortunately, there is no way to download a full installer (legitimately from Apple), without using the app store on 10.8 or later. Since 10.7 (Lion) is later than 10.6 (Snow Leopard), maybe those instructions apply to your situation. Make sure all the updates are installed, then try the direct link for 10.11. @mcenirm -- yes I have a machine running 10.13.6 here, and at another location a couple of fully updated Mojave machines. 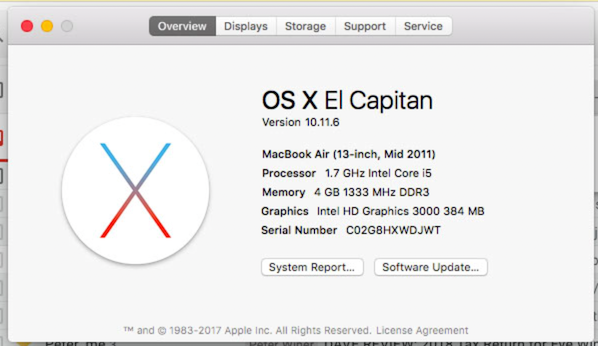 @mcenirm -- I am downloading El Capitan now. 37 minutes. That's encouraging because previous downloads were much smaller. Will keep you posted. That model (MacBookAir4,2) can supposedly run the latest OS (Mojave) with a patch that's here: http://dosdude1.com/mojave/ There are cautions listed. Otherwise High Sierra is the limit. We have one of those here, and upgraded it to High Sierra. Works fine. Thanks @mcenirm -- you win the prize in this thread. There's more to do. For now I'm happy where I am. It means the screen isn't this anachronistic jarring thing. It's just a hobby thing. Kind of like getting an old Mac 512K to run Frontier (which of course it can't). I'm now installing High Sierra. I have Mac Mini (Early 2011) and went through a similar process. Make sure your create a time machine backup as I have had to re-install recently and had to spend a couple of hours getting back to High Sierra. Interesting. 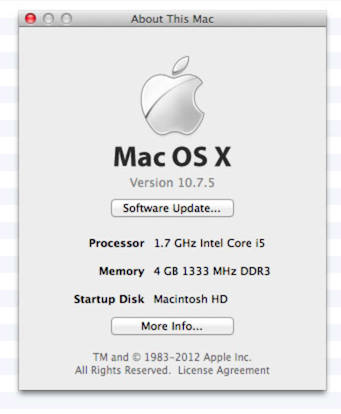 I have a Mac Mini (although might be too old) that I thought couldn't be upgraded. Always just figured the App Store would provide the right upgrade path. I may have to try this method. 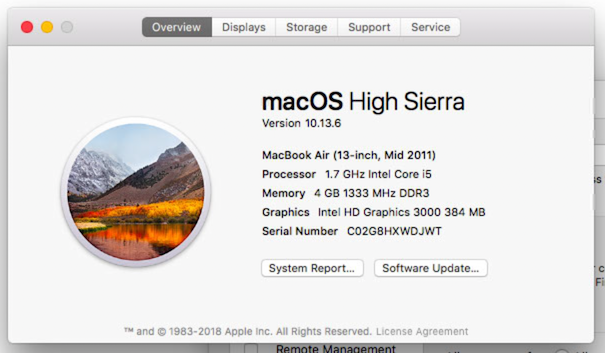 I have a mid 2011 MacBook Air running High Sierra with no problem. It does not upgrade to Mojave. Booted it off of an external usb drive to install OS.